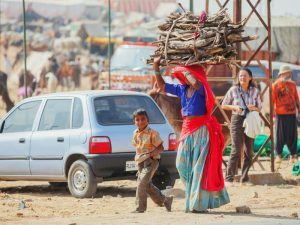 The Rockefeller Foundation recently announced it will invest $20 million to expand energy access in rural India over the next three years. Off-grid renewable minigrids, as microgrids are known in India, figure prominently in the foundation’s plans. Smart Power India, a program launched by the foundation in 2015, intends to bring sustainable energy to at least 25 million Indians across six states in five years. That dovetails with India’s goals for renewable energy, universal energy access and climate change action. The foundation sees minigrids as one of the most cost-effective and beneficial means of realizing the goals and plans to make them a centerpiece. 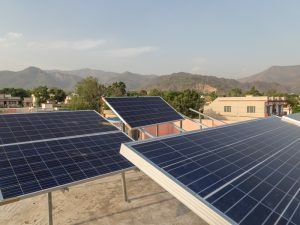 Smart Power India is part of a larger Rockefeller Foundation international clean-energy rural electrification program that has raised $32 million in project debt financing over the last 18 months. In India, the foundation is focusing on the states of Jharkhand, Bihar and Uttar Pradesh, where less than 10 percent of rural households have access to electricity. “There’s a massive need for investments in this area, and there’s a real opportunity to invest in deployment of decentralized solar-storage and other local, environmentally friendly renewable energy systems — 30, 40 or 50-kW minigrid systems — with the capacity to power entire villages and commercial or industrial facilities,” said Ashvin Dayal, who leads the Rockefeller Foundation’s global smart power initiative. “There has been a pretty substantial growth in energy consumption since the program was launched. There are now about 65,000 people directly consuming electricity in homes or businesses — some 6,000-plus shops, several hundred new businesses, and about 110 or 120 cell towers,” Dayal said. Furthermore, revenue leakage, or customer nonpayment of energy services, has been very low, between 3-4 percent on average, Dayal pointed out. That’s a very encouraging statistic for minigrid operators and investors. The minigrids Smart Power India has financed to date are all off grid; they distribute energy in a radius that extends from under a mile to nearly two. The customer base varies from site-to-site, but a typical 30-40-kW minigrid system serves some 175-200 households. Connectivity is often packaged with energy-efficient household appliances and devices, such as lighting and fans. Minigrids are replacing the kerosene, candles and biomass that rural villagers have traditionally used for household lighting and cooking, as well as the kerosene and diesel fuel commercial and industrial businesses rely on for electricity. The trend is having important, positive impacts in terms of rural environmental conservation and human health, quality and safety, Dayal said. “There are still places in rural India that are completely dark at night. Markets in some villages that used to close at dusk due to lack of lighting are now able to stay open until 8, 9 or 10 at night,” Dayal said. In addition, minigrids are powering street lights, which lessens concern villagers may have felt going out at night, he added. In addition to serving households, the typical rural community minigrid also provides electricity for 10-20 small businesses. “That could be a tea store, a village market, or any of a variety of small enterprises — a carpentry shop using electric machine tools, a local flour mill, an ice-making business or, in one specific instances, a small water purification plant that sells clean, bottled drinking water in a village where the local groundwater is contaminated,” Dayal said. Indian energy services companies that specialize in water resources services have cropped up, Dayal noted. Cell tower operators serve as minigrid anchor tenants in some cases. “Managing renewable energy generation and load management is very challenging. Cell towers are typically very predictable when it comes to electricity demand. That lends stability to a mini-grid system, which is valuable,” Dayal said. In addition, mini-grid connectivity weans telecoms tower operators off of diesel-fueled power generation, he added. Dayal sees better technology and economics driving investment opportunities in India and worldwide, a trend complemented by the growing number of young Indian energy services companies demonstrating success in developing projects. The market also is getting a boost from government and regulators working to achieve renewable energy, energy access, sustainable development and greenhouse gas emissions reduction goals. “States and the national government in India are realizing that investing to expand conventional grid connectivity alone is not the best solution. That has brought on the arrival of policies and regulations that are clearer and more consistent,” Dayal said. A growing proportion of Smart Power India funding is going towards helping energy services companies and their customers make better, more productive use of the clean energy minigrids financed by Smart Power India. 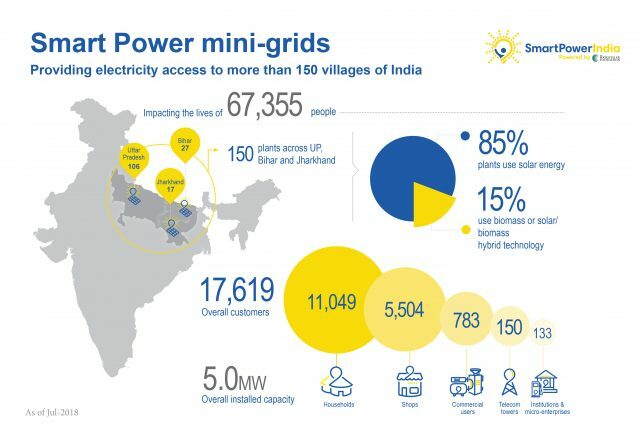 “Alongside investments in Indian minigrid operators and energy services companies, we’ve created a non-profit entity – Smart Power India – that provides support and services to Indian energy services companies, particularly with regard to demand management and minigrid stabilization,” Dayal said. The entity provides financing for consumer appliances and electrical devices, such as energy-efficient lighting, fans, radios and mobile device rechargers. “We need to have accompanying efforts that stimulate [mini-grid energy] demand – access to safe, affordable home electrical appliances, for instance,” Dayal said. Smart Power India is actively exploring financing grid-connected rural minigrids in partnership with Indian utilities. Looking ahead, Rockefeller Foundation intends to add to the $20 million investment in minigrid projects and support, last-mile electrification activities over the next three years. For example, Smart Power India is actively exploring financing grid-connected rural minigrids in partnership with Indian utilities. “Blended utility grid-decentralized generation and distribution can make rural electrification and energy access projects more viable,” Dayal said. The Rockefeller Foundations is looking forward to sharing word of the pilot program’s progress over the next six to nine months, he added. Dayal believes the number of minigrids financed by Smart Power India can increase from today’s 160 to 250-275 by year-end. The foundation also intends to expand its Smart Power program to other countries where the need for rural energy access and socioeconomic development is pronounced. That includes Southeast Asian countries, such as Myanmar. 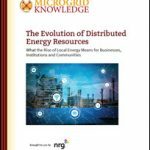 Track news about minigrids in India by subscribing to the free Microgrid Knowledge newsletter.